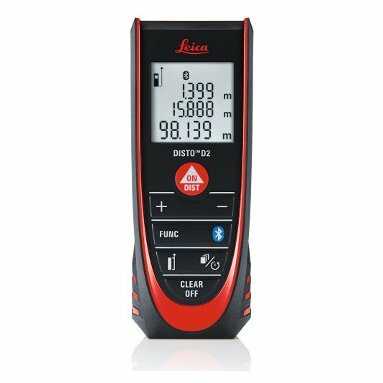 Leica DISTO D2 BT is equipped with Bluetooth® Smart data transfer that links directly to the Free Leica Disto Sketch measuring app. 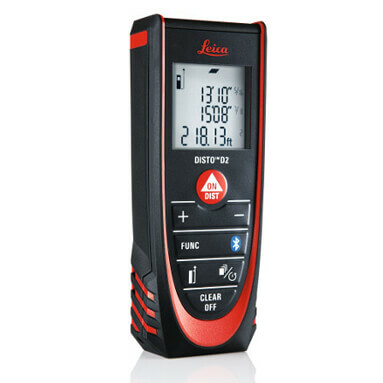 This small and handy laser distance meter has an impressive 100m range and includes many useful functions. 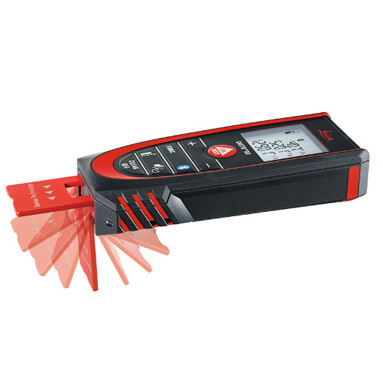 Measurements out of corners or from edges are no problem with the multi-functional end-piece. 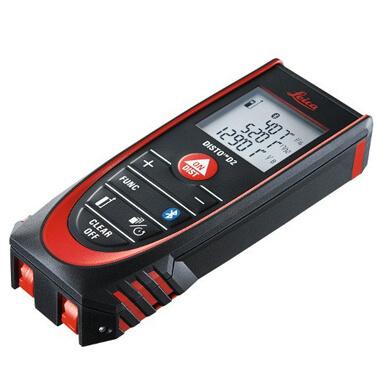 It's all contained in a handy, compact unit which fits easily into your pocket! Measuring units: m, ft, in. Simple & easy to use, handy compact size. Free applications Leica DISTO sketch & Transfer for iOS & Android. Functions: area / volume, min / max, pythagoras, stake-out, painter function, addition / subtraction, timer. 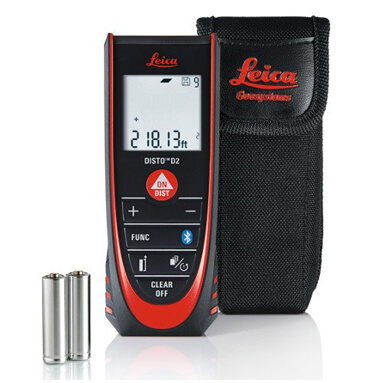 Battery life: up to 10,000 measurements / 20 hours operation (reduces if Bluetooth is on). Dimensions: 116 x 44 x 26mm.